The weeks fly by, and everything is kind of blurring together. It's a little hard to remember everything I did, but I'll try. Last Saturday, after pday, we had a ward activity that was pretty fun. It was a ward talent show! We did a comical bus stop skit as the missionaries from the ward, and I also helped Elder Llanos and Elder Tello with a Peruvian song by playing this thing that looks like a cheese grater with a metal stick. It was definitely a first, but I can now say I have played a cheese grater for a Peruvian song jaja. But it was a great activity, and the best part, we had some investigators there! We talked to them for a while after the activity. It was sad, though, because of all the investigators that we had committed to come to church this last week, we only had one come. We went to all of their houses on Sunday before church to bring them to church with us, but none of them were home, or if they were home, they didn't answer. It's a little hard when that happens, but you just have to keep going with faith, and not stop visiting them. Luckily, with divisions this week we were able to keep up contact with them, and hopefully we can visit them again tomorrow morning and help them get to church this week. Another crazy thing, yesterday was my last official work day with Elder Thompson! He heads out on Monday to Victoria for a week, and then he will come back on Monday the 8th so we can have his farewell meal and send him off home! He's going to Victoria because one of the zone leaders, Elder Gonzalez, is going home this Tuesday, so he's going to go be the companion of Elder Rocha (the other zone leader) for a week so they don't have to do a trio. 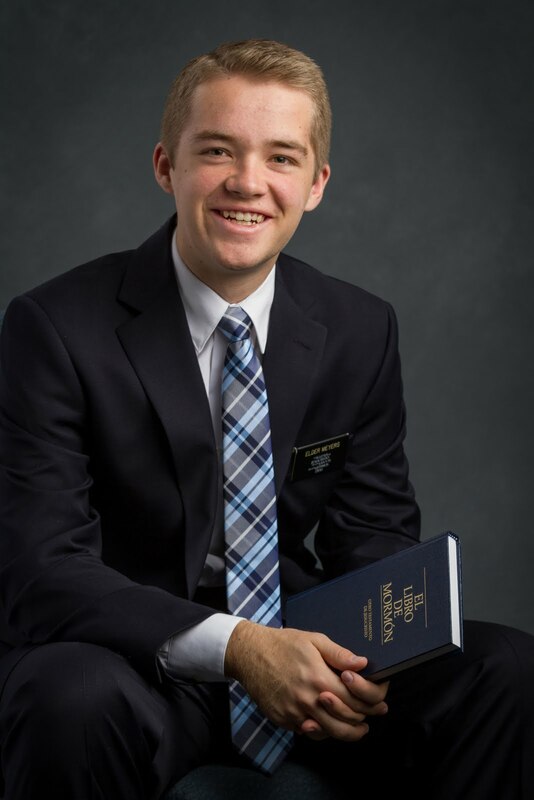 Elder Thompson also served in Victoria earlier in his mission, so that will be cool for him to see some of the members again before going home. Esta semana siento que he aprendido a reconocer el Espíritu más. Estoy más tranquilo, y reconozco mejor cuando algo parece bien o mal, según lo que me dice el Espíritu. Es una experiencia gratificante poder estar en comunión con el Espíritu, y por medio de Él, mi Padre Celestial. Me ayuda a aprovechar mi tiempo mejor como misionero y como secretario financiero, ya que el tiempo es uno de los recursos mas valiosos que el Señor nos ha dado en esta vida para progresar. Al usar el tiempo sabiamente y con prudencia, nosotros llegamos a ser mucho más como Él, tenemos más disciplina, más orden, y más tranquilidad, los cuales nos permite comunicarnos más con Él. Por eso me gusta mucho el capítulo 8 de Predicad Mi Evangelio, que habla de usar tiempo con sabiduría. He estado estudiándolo un poco, y voy a seguir con ese capítulo esta semana. También estoy empezando a buscar y marcar atributos de Jesucristo en el Libro de Mormón, y eso me ha servido mucho en reconocer mejor como desarrollarlos, y lo que necesito hacer para progresar. Estoy muy agradecido por el Libro de Mormón, tiene un poder palpable en mi vida. Es como día y noche la diferencia que hace el estudio del Libro de Mormón en mi día. Sé que es un libro inspirado y llevado a cabo por Dios. (Translation:) This week I feel like I’ve learned to recognize the Spirit more. I'm more peaceful and recognize better when something looks good or bad, depending on what the Spirit tells me. It’s a rewarding experience to be in communion with the Spirit, and through him, my Heavenly Father. It helps me make the best use of my time as a missionary and as financial secretary, since time is one of the most valuable resources the Lord has given us in this life to progress. By using time wisely and prudently, we become much more like Him, we have more discipline, more order, and more peace, which allows us to communicate more with Him. This is why I like chapter 8 of Preach My Gospel so much, which talks about using time wisely. I've been studying it a little, and I will continue with this chapter this week. I'm also starting to look up and mark attributes of Jesus Christ in the Book of Mormon, and that has helped me to recognize better how to develop them, and that which I need to do to progress. I am very grateful for the Book of Mormon. It has a tangible power in my life. It's like night and day the difference it makes to study the Book of Mormon during my day. I know it is a book inspired and brought forth from God.